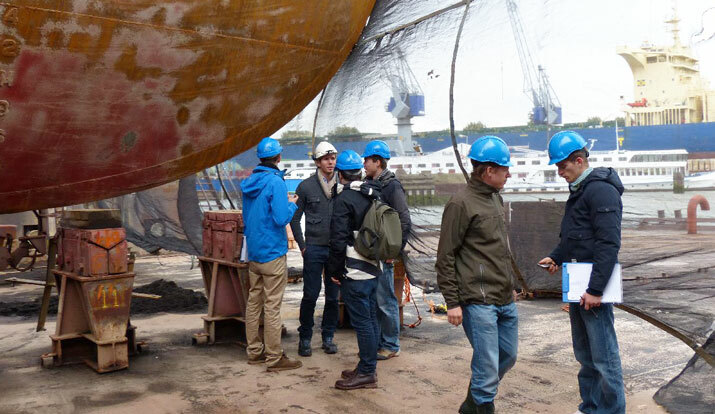 Students take a research tour with Damen ship repairs in Rotterdam. 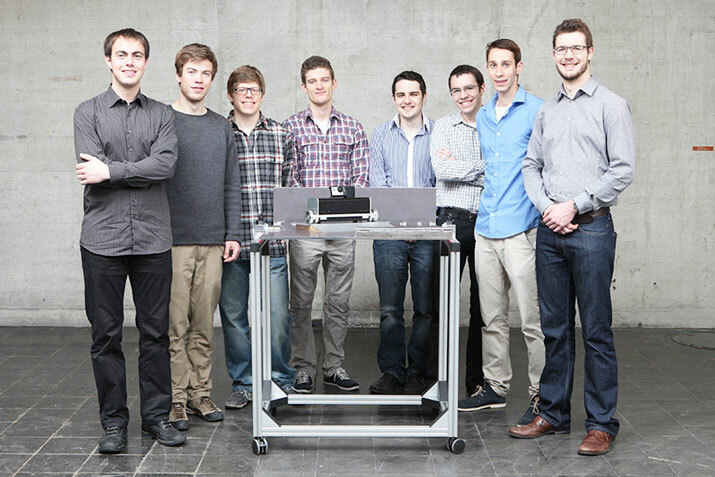 A team of students from ETH Zurich and ZHdK have developed a prototype for a robotic ship inspection unit that is capable of conducting visual inspections of ship ballasts. Ballast inspection – which involves navigating hard-to-reach spots with no line of sight, often in the presence of intense heat, humidity, and hazardous gases – is normally done by human inspectors, and represents a significant cost to ship-owners who must pay for dry-docking and who face lost income when they cannot operate their ships during the inspection period. Because robotic ship inspection can occur while the ship is in operation, it could significantly reduce dry-dock time. The Ship Inspection Robot (SIR), which was developed in conjunction with Alstom Inspection Robotics and which uses magnetic wheels to navigate the I-beams and other awkward obstacles found inside ship ballast, is relatively compact and does not require any cables for power or communication, and thus offers significant mobility improvements over other robotic ship inspection prototypes. Project leaders anticipate that a per unit production cost could be as low as €4K, enabling shipping companies to operate several units in parallel as an additional time-saving measure. The robot was developed as part of a Bachelor-level project that aims to give students practical experience and promote contacts with industry. Cargo ships, which transport everything from bananas, coffee, grain, coal, heavy equipment, chemicals, oil and gas, are the backbone of intercontinental trade, and the shipping industry represents an annual estimated average of more than €300bn worldwide. According to the International Shipping – Facts and Figures report published by the International Maritime Organisation, there were 103 392 commercial ships in service by January 2011. With an average age of 19 years and an expected lifespan of 25 years, regular inspection and repair is an important part of the global fleet maintenance. The mechanical stress of loading and unloading, and the corrosive properties of seawater all take their toll on a vessel’s structure. This is especially true for a ship’s ballast tanks, which are filled with seawater to compensate for weight changes as cargo is loaded and unloaded. 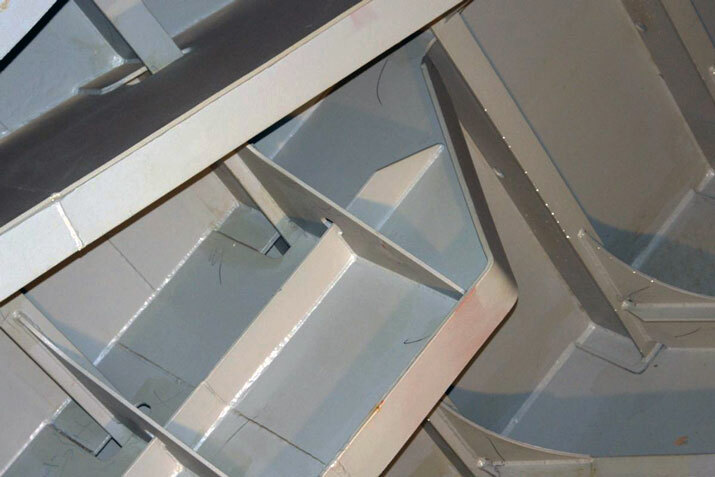 Located between the outer hull and the cargo holds, and consisting of beams and stiffeners separated by bulkheads, ballast tanks form much of a ship’s supporting structure. The surface of ballast tanks is subject to saltwater exposure and algae accumulation, and as a result, must be inspected for damage every five years. 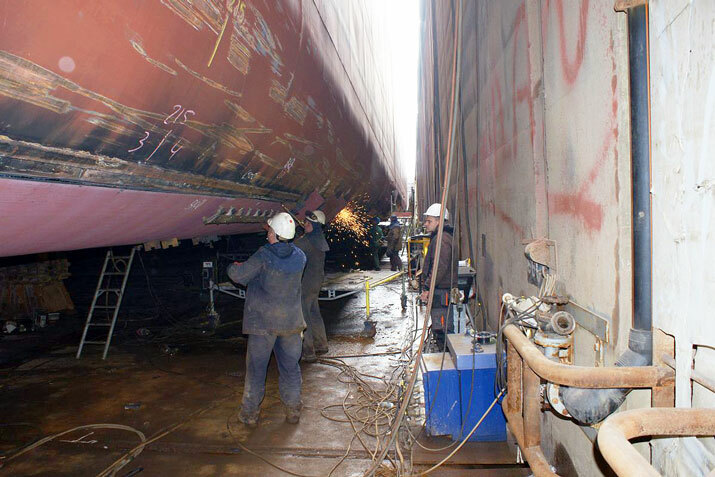 A standard visual inspection, which can only be conducted with the ship in dry-dock after about a two-day venting period, serves as a kind of triage for determining what repairs are needed, and where. During inspection and repair, time is of the essence. Ship owners must pay for every day in dry-dock (€16K to €25K per day) and, in addition, they face loss of income when goods cannot be transported (€16K – €50K or more per day, depending on the value of the goods; oil and its derivatives, for example, can double in value within weeks in the event of a oil crisis). 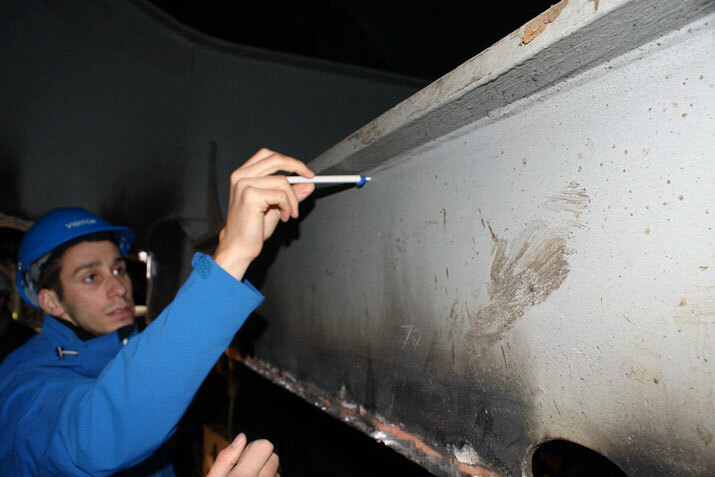 Visual inspection is normally carried out by humans; however, intense heat and humidity, and hazardous gases make ship inspection a difficult and dangerous task. Ballast inspection is therefore an ideal task for robots, but the inside of the ballast, which has both convex and concave edges, as well as T-, L-, bulb- and I-profiles, presents a significant navigation challenge for any robotic inspection system. A few prototypes have been developed to date, however most of these systems have been large and heavy, and have required cables (for communication and power) that significantly limit their range and mobility. Workers repairing a ship in a dry-dock. Note the newly painted piece: it is often necessary to cut a hole into the hull to gain access to an area inside the ship. Inside the cargo hold of a bulk carrier. 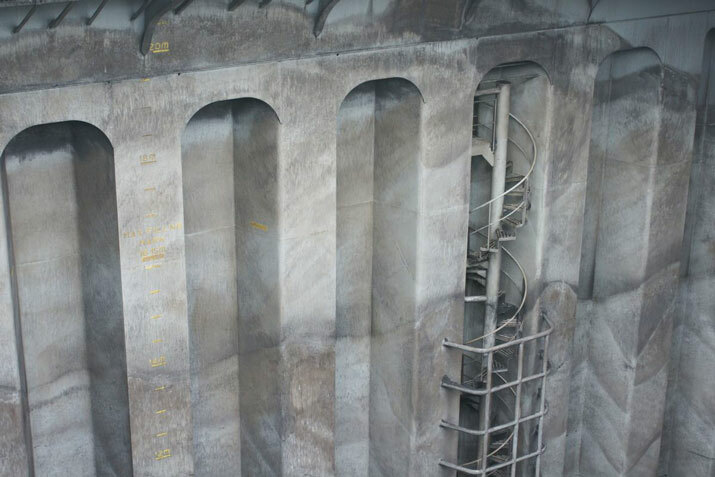 Ballast tank of the same ship, showing the kinds of structures the robotic inspection system must climb. Structural features inside the ship, like T- and I-profiles, pose an additional mobility challenge to the robotic inspection system. SIR was developed as part of an industrial-academic collaboration between Alstom Inspection Robotics, ETH Zurich and ZHdK. Alstom Inspection Robotics proposed a project that would result in a lightweight, low-cost robot for inspecting ships and similar structures, and provided some of the technology; a team of ten undergraduate students (six mechanical engineers and two electrical engineers from ETH Zurich, and two industrial designers from ZHdK) completed the project from concept to functional prototype as part of a nine-month bachelor-level focus project. Touring a shipyard helped students develop a scenarios for how a ship inspection robot could be used. As part of a round-the-year continuous inspection, the ship owner decides to use a four-day cruise to inspect part of the ballast tank. The inspection area is split into sections 3m wide and 50m long, which are bordered by stiffeners that can be climbed, but which limit sight. Calculations done on power consumption suggest a run time of about three hours; with an assumed average speed of 4.5 cm/s (calculated as a weighted mix of maximum and obstacle speed), ten of these sections could be inspected on a single battery charge. Once inspection is complete, the data is analysed and suspicious areas are marked. Available data from earlier inspections is used to detect changes, and the damage map is updated. The next time a ship is due for inspection, the damage map is checked, and necessary equipment and material are ordered before the ship even enters the dry dock. 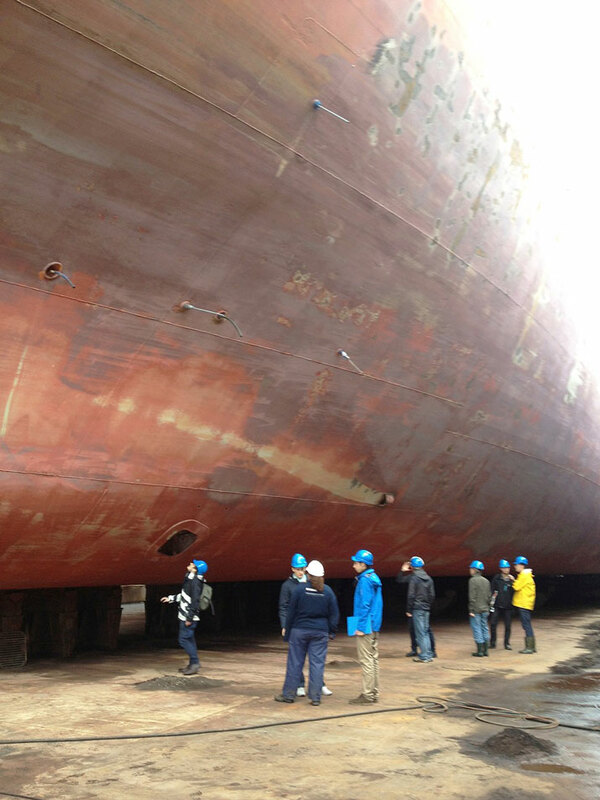 Once in dry dock, the ship is vented and known repairs begin without delay at the same time as small or complexly shaped areas (like the bow) are manually inspected. A full inspection is shifted to the end of the dry-docking: since the inspectors already have access to the data, they can identify critical problems in advance and shorten the time they spend inspecting undamaged areas. SIR’s overlapping wheels enable it to climb very thin obstacles without detaching. Because, unlike its human counterparts, SIR is immune to poor air quality and does not require scaffolding to climb, inspection could be undertaken while the ship is cruising. It could thus be used as part of an on-going year-round inspection program, allowing ship owners to identify and monitor suspicious areas, and order materials and plan repairs ahead of a scheduled dry-docking. While SIR is not meant as a replacement for a human visual inspection, it would allow human inspectors in dry-dock to focus on damaged areas, and on areas that are not accessible by robot, such as the ship’s bow. Because of its structural simplicity and its use of relatively inexpensive peripheral equipment, the target per-unit production cost of a commercially produced version of SIR is expected to be about €4K, allowing ship-owners or their subcontractors to treat them as a consumable rather than an asset. This low cost would allow operators to own and operate several units in parallel. The prototype cost about €12K to produce. Conceptually, SIR has a low degree of autonomy. Ship inspections are carried out according to very strict regulations and procedures, leaving no margin for errors, and one way to reduce errors is to keep things simple. This feel of being ‘in control’ also increases market acceptability. The ship inspection robot’s magnetic wheels can carry up to 240kg. SIR features four overlapping magnetic wheels, which allow the unit to maintain continual contact with the ship’s surface, even as it navigates sharp angles, vertical surfaces and overhangs. 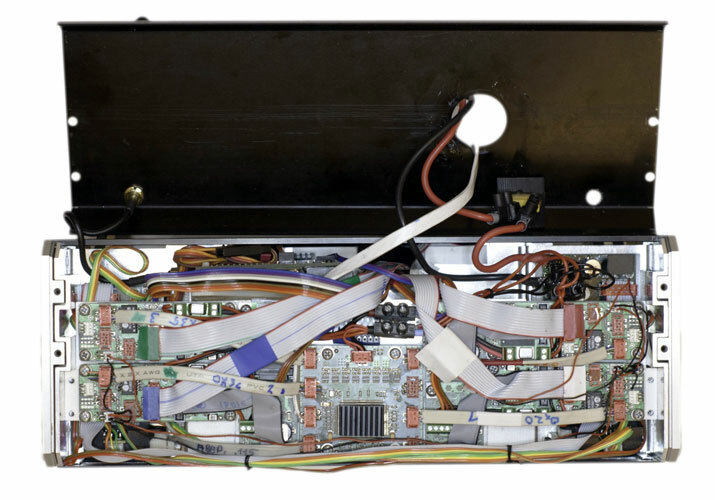 A gamepad allows the human operator to control the device, and a top-mounted camera and lighting system allow for visual inspection. The robot has almost no on-board computing power, making it lightweight and power efficient; almost all processing and control tasks (with the exception of a micro-controller for bundling sensor data) are executed on a base station that runs the Robot Operating System. 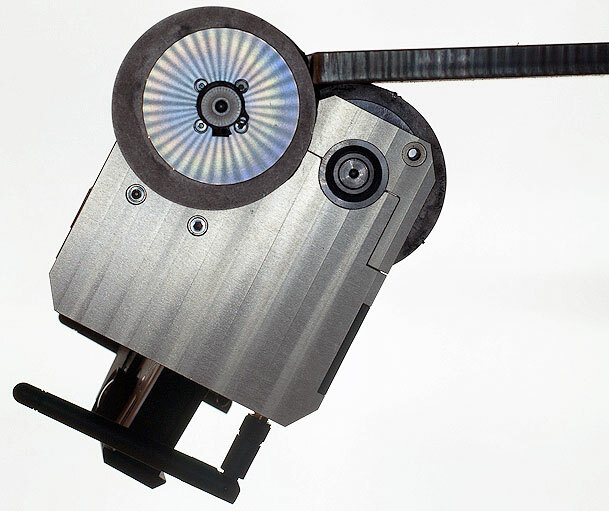 The robot uses four Sharp infra-red distance sensors for edge and obstacle detection, and an Invensense MPU 6050 IMU provides the operator with orientation data. These sensors are currently only used for user feedback. 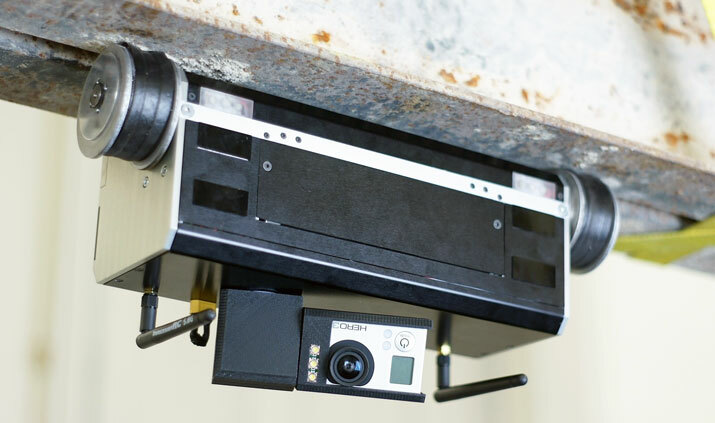 The camera used on the robot is a GoPro Hero 3 where it serves as a demonstrator for a visual sensor. It is assisted by three lights, one pointing in the viewing direction while the other two illuminate the ground in a flat angle, so as to make bumps and small edges more visible thanks to the longer shadow they cast on the ground. Communication is carried out by two systems. The first system is an analogue wireless device. It uses the same 2.4GHz frequency as normal WLAN devices, however the signal is analogue, giving it more stability. It can be exchanged for an ethernet cable at any time. This device is used to control the robot, since delay through this channel is barely perceivable. The second system is a wireless video transmitter for the GoPro camera that is often used in model airplanes. 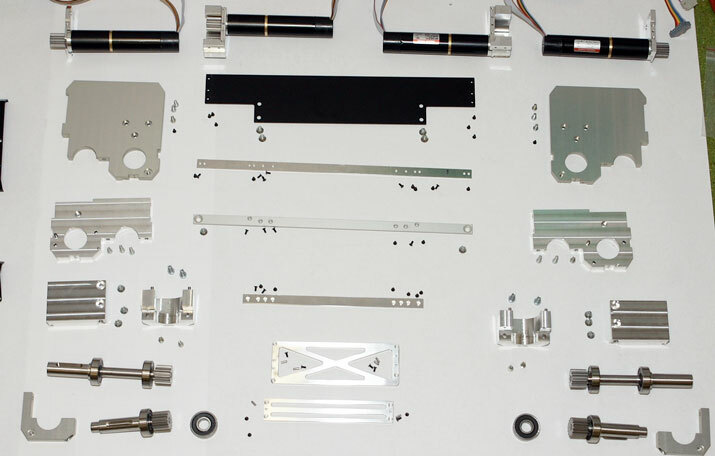 Parts overview. Reduction in complexity is an important part of the industrialisation process. Top view of SIR’s electronics compartment. Side view of the ethernet switch in SIR’s electronics compartment. As a demonstrator, we installed a camera and a pan/tilt mechanism as well as a light for illumination. Working as part of an interdisciplinary team and organising a project all at once was certainly a challenge, however SIR proved itself to be a successful focus project. Not only did SIR perform as planned, it also showed that the mechanical and electrical design can be integrated into a robust and compact design; this was achieved by working closely together to integrate our various areas of expertise. Our primary goal was for SIR to be able to overcome obstacles, and thanks to its compact wheelbase, SIR is able to do this with a high reliability, a thing no other robot known to us can do! Overcoming obstacles still needs some work in terms of reliability and smoothness, however, the robot never detached from the surface during a test and, in most cases, was recoverable without interaction from outside. We are proud that we were able to raise the bar in this respect. 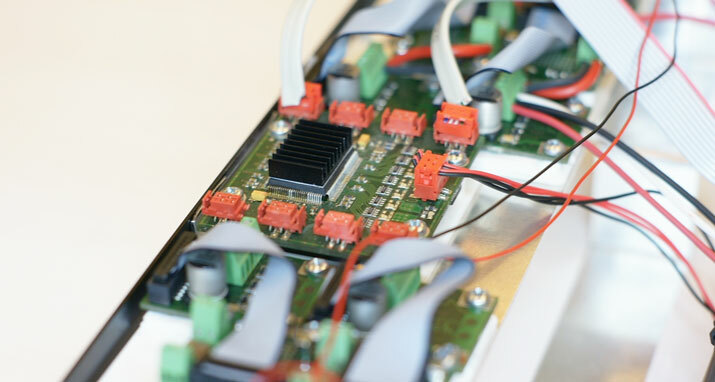 So far, tests have shown that many of the other desired tasks can also be fulfilled by the current prototype, such as the ability to carry a variety of sensors. SIR’s high range of mobility is the key value we added to the state-of-the-art of inspection robots, and thus the biggest achievement of our project. The ability to climb all these additional obstacles is not only beneficial for ship inspection, but also useful for many other robot applications such as power plant inspections. Further development of SIR lies in Alstom Inspection Robotics’ hands. 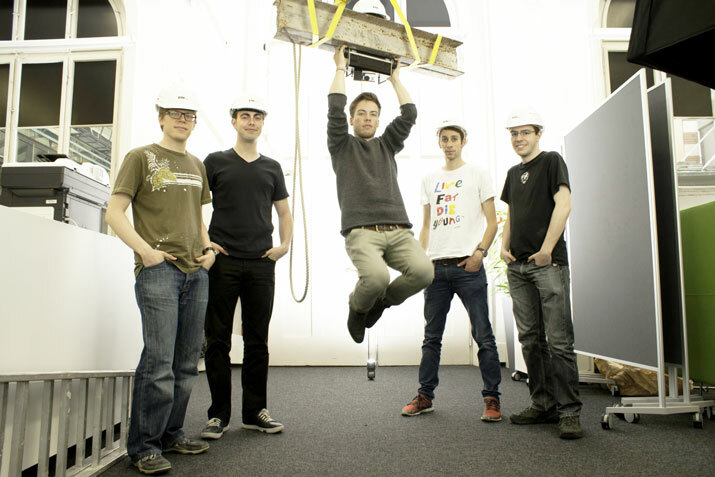 Andreas Müller (ITET*), Yorrick Detreköy (MAVT**), Marco Eppenberger (ITET), Florian Berlinger (MAVT), Simon Schmid (MAVT), Michael Fisler (MAVT), Jonas Eichenberger (MAVT), Clemens Clausen (MAVT). Absent: Joël Burgeois, Léonard Ziegler, from ZHdK (Zürcher Hochschule der Künste).